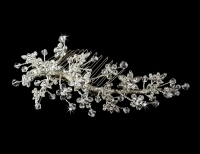 The hand wired silver platting with Genuine Swarovski Crystals are a dazzling way to add a touch of sparkle all around on a very special day. 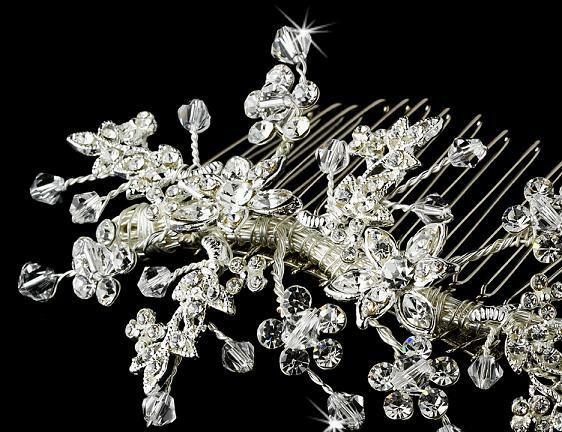 Feel like a true princess with this fabulous bridal comb. 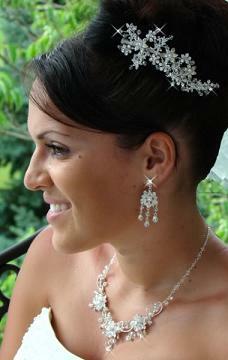 The garden of flowers is simply breath taking! Comb measures: 4" x 2 1/4"